ABACAS Kilbarrack Special School is an evidence based school for children with a diagnosis of autism and complex needs. Each student follows an individualised education programme that encompasses curriculum based learning, behaviour support and the acquisition of life skills. Anna Wright, a tutor at the school, explains how the life skills strand of the programme is where running fits in. The ABACAS running club was started in 2015 by staff member Margaret Norris with the aim of getting students moving, to give students of different age groups the opportunity to mix together and also to give them experience in working towards a goal. 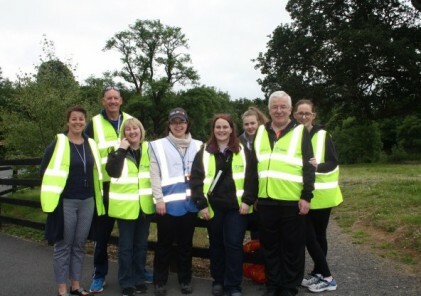 Sarah Coppinger, a teacher in our school, was a regular participant in her local parkrun and so the idea of the ABACAS Running Club participating in parkrun was born! Sarah recommended the Father Collins parkrun as she had participated in it previously, it was local to our school, and was a safe and flat course that the students wouldn’t find too challenging. The running club trained twice a week with a group of staff and followed a couch to 5k programme. All the hard work and training culminated in a very successful parkrun in Father Collins Park on 11 June 2016. Students, staff, families and friends all participated in what was a fantastic day for our school. 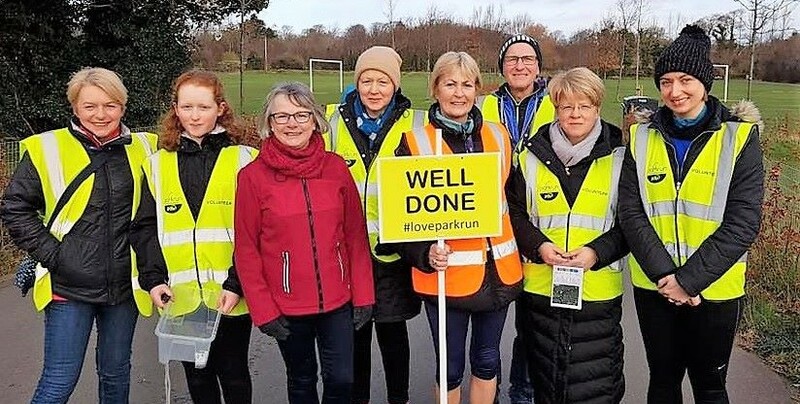 The parkrun volunteers and participants were so amazing and accommodating and it was great to have them cheering us on and supporting us around the course. The students and their achievement was the main focus of the day – the students that participated were all presented with a medal by Finian McGrath, Minister of State for Disability Issues. Coming up to the big day we also fundraised for our school – the money was invested in a much needed new playground and in ground trampoline and specialist equipment for our students with OT needs such as weighted vests and other sensory equipment. Running club started up again this school year and from September students were training again to participate in Father Collins parkrun last Saturday, 20 May. Most of our veteran runners were back and we also had a few new faces joining the crew! Once again students had trained twice a week following a couch to 5k programme. Some of our ABACAS families were training hard at home as well. Behind the scenes, the Parents Association were hard at work making sure we had everything we needed for the big day from t-shirts and refreshments to medals and trophies. I participated in training the students myself this year and it was really amazing to see the students grow in confidence and fitness as the year went on. Running is a really inclusive sport and participating in parkrun allows families and friends of our students to participate in a sport with them. Once again there was an amazing atmosphere on the day – families, friends and staff all came together to celebrate our amazing students and all the work they had put in throughout the year. Finian McGrath returned to present the students with medals and trophies. Our students were all extremely proud of themselves – this is the main aim of running Club and participation in parkrun for us – to give our students and their families a sense of pride and achievement. The parkrun volunteers and other participants made us feel so welcome and supported and accommodated us throughout the run and we can’t thank everyone enough. This year we continued our fundraising for our school – our long term fundraising goal is the development of a whole new school to replace the rundown prefabs that are no longer suitable for the students. What’s next for the ABACAS Running Club? Well, parkrun, I think you’re stuck with us now! We will be back as a school next year to Father Collins parkrun and I’m sure there’ll be some familiar ABACAS faces at parkruns around the city from now on.